Offering you a complete choice of products which include hydraulic cylinder, hydraulic molding machine, hydraulic cylinder and power pack, hydraulic cylinder- set and hydraulic cylinder set. 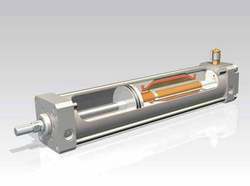 We are a trustworthy organisation in offering a wide gamut of Hydraulic Cylinder. We are a trustworthy organisation in offering a wide gamut of Hydraulic Molding Machine. 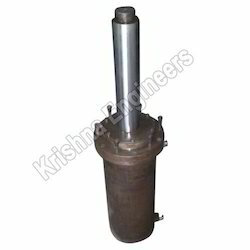 We make Hydraulic Cylinder 10 tons to 500 tons capacity as per client's requirement. we are using all seals make by Germany. Hydraulic Cylinder and Power Packs are extensively used for special purposes and designed for steel plant equipment, pipe mills. These are manufactured by our experts in our advanced manufacturing unit and also our experts use best quality tested materials for fabricating these packs. These are available to our clients at competitive prices in the market. 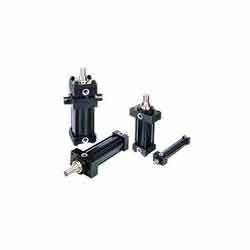 Hydraulic Cylinder Set is demanded in the markets for their features like durability, sturdy construction, corrosion resistance and efficiency. These sets are fabricated using premium quality materials and according to the international quality standards. Clients can avail these at reasonable prices in the industry. These are available in various specifications and can be customized as per the demands of the clients. 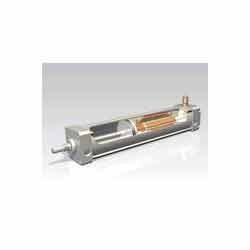 Hydraulic Cylinders are used in various industrial applications for different kinds of purposes. We also customize these products as per the specifications of the clients. These are accessed by our clients at nominal prices in the market. These are highly demanded in domestic and international markets for their features like high performance, excellent functioning, optimum service and superior quality.